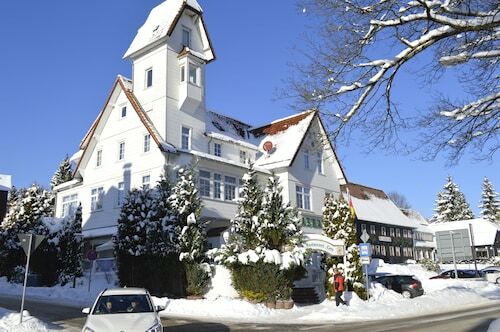 Set amidst the mountains, this ski-in/ski-out hotel in Wernigerode is 2.7 mi (4.4 km) from Wurmberg and within 9 mi (15 km) of Brocken and Wurmberg Gondola. Grenzlandschaft and Museum Sorge and Ring der Erinnerung are also within 9 mi (15 km). 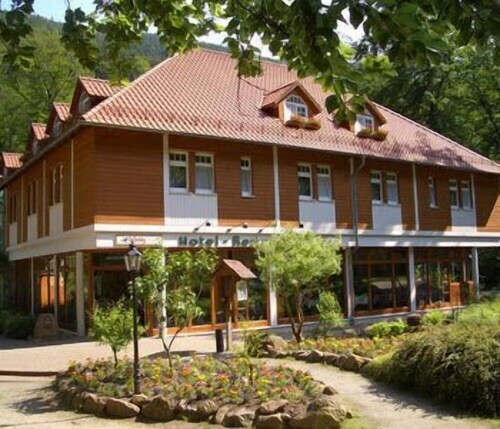 Situated in a regional park, this hotel is 2.8 mi (4.5 km) from Wurmberg and within 9 mi (15 km) of Brocken and Wurmberg Gondola. Grenzlandschaft and Museum Sorge and Ring der Erinnerung are also within 9 mi (15 km). 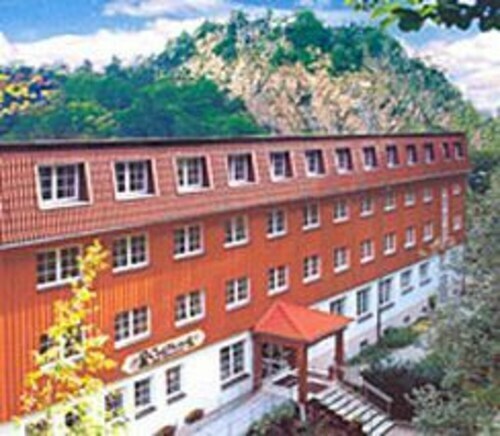 Situated in a national park, this hotel is 2.7 mi (4.3 km) from Wurmberg and within 9 mi (15 km) of Brocken and Wurmberg Gondola. Grenzlandschaft and Museum Sorge and Ring der Erinnerung are also within 9 mi (15 km). 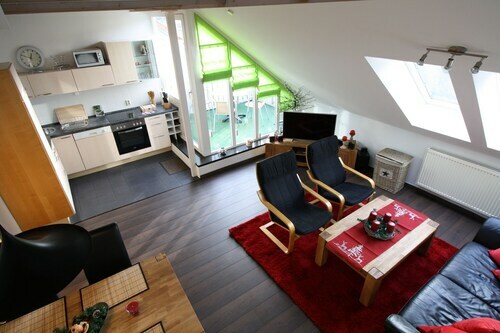 This family-friendly Wernigerode apartment building is located in a national park, 3.1 mi (4.9 km) from Wurmberg, and within 9 mi (15 km) of Wurmberg Gondola and Brocken. Baumannshöhle - Rübeländer Stalagmite Cellars and Grenzlandschaft and Museum Sorge are also within 9 mi (15 km). 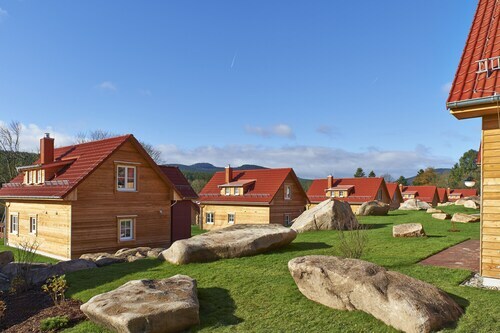 This family-friendly Wernigerode resort is located in the mountains, 2.8 mi (4.5 km) from Wurmberg, and within 9 mi (15 km) of Wurmberg Gondola and Baumannshöhle - Rübeländer Stalagmite Cellars. Grenzlandschaft and Museum Sorge and Ring der Erinnerung are also within 9 mi (15 km). 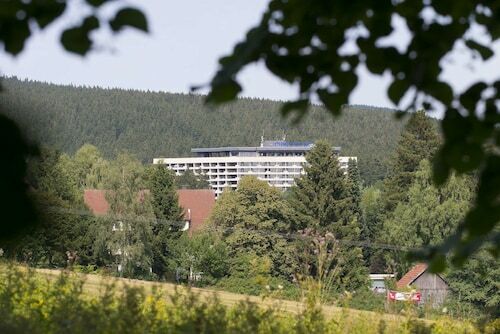 Located on a river, this family-friendly hotel is within 9 mi (15 km) of Museum of Aviation and Technology, Christianental Wildlife Park, and Buergerpark. Wernigerode Marketplace and Wernigerode Castle are also within 9 mi (15 km). 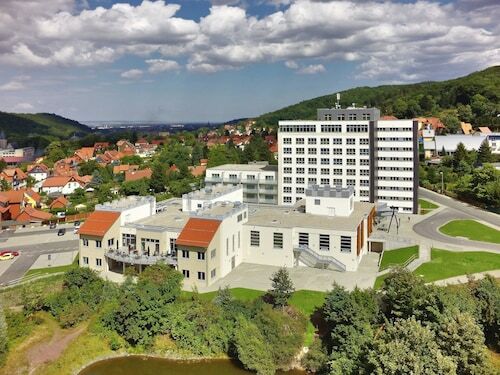 Situated on a river, this spa hotel is within 9 mi (15 km) of Museum of Aviation and Technology, Buergerpark, and Wernigerode Marketplace. Wernigerode Town Hall and Wernigerode Castle are also within 9 mi (15 km). Ilsenburg Station is 27 minutes by foot. If you are on the lookout for something to keep you occupied on your vacation, a trip to Brocken is a good idea. To see it, head to Schierke, which is 60 miles (97 kilometers) from the state capital, Erfurt. Visitors will be glad to know there are 15 different hotels within 6 miles (10 kilometers) of Brocken. 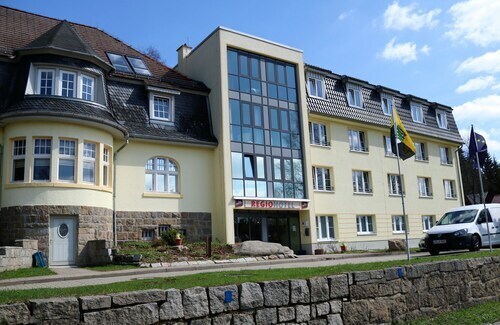 The Landhaus Zu den Rothen Forellen and Maritim Berghotel Braunlage are two establishments to consider. The area's economical solutions will provide you with everything you need at a price that will make you smile. You can make inquiries at the Hotel Askania and the Hostel Braunlage. There are a few premium establishments a short commute away, perfect in case you're feeling a little extravagant. 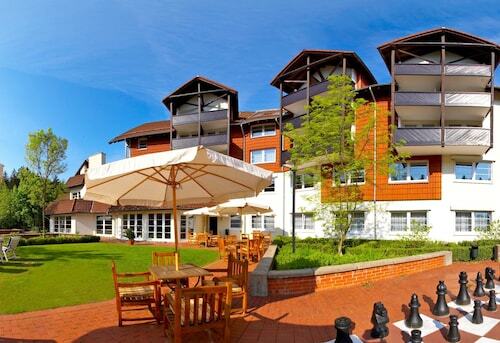 You should make a reservation at the Braunschweiger Hof and Torfhaus HARZRESORT. Turmcafe Hexenklause (Wernigerode) is among the most renowned places for a quick bite to eat. However, if a more complete meal is a comforting idea, look for a free table at Brockenwirt (Brockenstraße, Wernigerode), a mere 0.1 miles (0.2 kilometers) away. Trek to the peak of Wurmberg, or view it from the bottom. Relish in that rush as you slide through the freshly fallen snow at Wurmbergschanze. Harz National Park in an ideal getaway for visitors wanting to get outdoors. Reconnect with nature at the well-known Luchs-Schaugehege Rabenklippe, an excellent place for travelers craving some time in the outdoors. Calm yourself, put your feet up and take in the views from on board Wurmberg Gondola. Hop on a train at the closest station, Bahnhof Brocken, after visiting Brocken. It's a mere 0.09 miles (0.14 kilometers) away! How Much is a Hotel Room in Brocken? Hotels in Brocken start at $71 per night. Prices and availability subject to change. Additional terms may apply.